As a Booking Manager user from the day one of company existance, I simply can’t imagine performing manually all the office work. It saves us a lot of trouble and time, but also helps us to make new contacts in countries all over the world. I believe this is essential to our success, which is the reason we are using Booking Manager only. Sailing Forever started operating in 2009 as a small charter company established by a few friends who have been sailing their entire lives and have been determined to provide a bit more than just a regular charter week experience. Starting a company echoed the adrenaline need of true sailing enthusiast, looking for a regatta ready fleet - consisted of reliable yacht models, designed to deliver the best racing results. Backed by the Slovakian investors who also happened to be lifelong sailors, founders of Sailing Forever charter company purchased their first 10 Beneteau First 45s sailing boats and started organizing regattas, but also broadened the scope to special events such as team buildings and luxury cruises. They are an exclusive choice for any client interested in chartering this attractive Beneteau model which fuses comfort with racing performance. Throughout the years, Sailing Forever team has been empowered by new members, overall combining all the essential skills for the successful company operation. The 11 team members pride themselves on keeping the fleet maintenance level high and delivering top quality service. The team has been working together for over a decade, with same people working together on our fleet maintenance and keeping it in excellent condition. Because quality makes the difference. Since the experienced sailors have recognized the great pleasure of having detailed prepared technical conditions for attending well organized regatta, as well for those with less sailing knowledge, client requests have exceeded the Sailing Forever fleet capacity. Following the increased interest, the fleet has been continuously renewed, making Sailing Forever one of the best One Design Fleets in Adriatic. Today, they offer 33 yachts, more specifically: 15 Beneteau First 45s, 10 Beneteau First 35s, Beneteau Oceanis 58, Beneteau Oceanis 55, Beneteau Oceanis 48, Beneteau Oceanis 393, Hanse 575 and Hanse 505 sailing yacht, with brand new catamaran Saba 50 and sailing yacht Beneteau Oceanis 48 joining the fleet for the season 2017. Yachts are bookable both as bareboat or crewed and are available from March until November from Marina Kaštela, a full-service marina in the middle of the Adriatic with Split international airport nearby. In order to prolong season even further and offer alternative terms and sailing destinations, Sailing Forever seasonally transfers their Beneteau First 45 to Tenerife, in Marina San Miguel. This warm and sunny destination is a great alternative for those interested to experience sailing sensation on the Atlantic in suitable weeks between November and March. Sailing Forever team had been well aware of the fact that business success depends on more than well designed and maintained fleet and decided to partner up with MMK at the day of the company foundation. As detail orientated professionals, they have been using Booking Manager right from the start to promote their unique offer and improve office productivity. Since Sailing Forever charter season lasts for the whole year, they have recognized the advantage of Booking Manager as the global reservation system, flexible to promote fleets from worldwide destinations and to provide booking requests in any time of the year. Additionaly, by using powerful System features, they are able to manage entire booking process in a simple and efficient way, easily organize check-in procedure and create advanced financial reports to help them achieve better results. 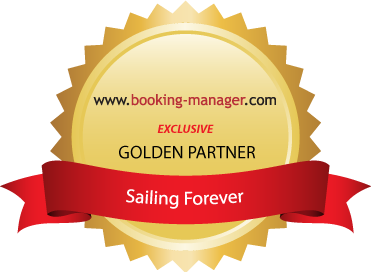 A further step to enhance business strategy was to integrate Booking Manager back office program to Sailing Forever website which provided instant information about fleet availability, technical equipment and prices with available discounts in real time and enables clients to open option, send an offer or book the yacht directly from Sailing Forever website. In recent years Sailing Forever team experienced visibility of the fleet on the market which made their business much more profitable so eventually they decided to use Booking Manager as an exclusive booking system to manage their fleet and preserve market position as one of the best One Design Fleets on Adriatic. For more information, check out Sailing Forever website.